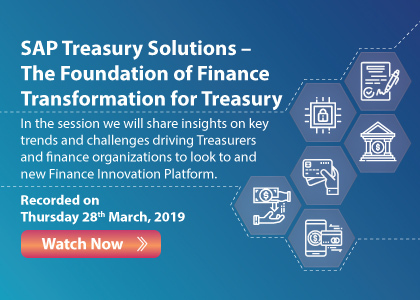 In the session we will share insights on key trends and challenges driving Treasurers and finance organizations to look to and new Finance Innovation Platform. You will hear about cash and cash management, banking and risk management challenges and how SAP helps solve them. We will share insights from a recent banking consolidation project and provide recommendations on how you can save time and money and free up resources to provide analysis and insight by leveraging Machine Learning apps. We will also cover crucial impacts and interactions of key compliance standards such as IFRS 16 and IFRS 9 on the treasury community.